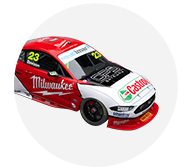 Will Davison's Falcon will sport a new racing number and tweaked livery for this weekend's Coates Hire Ipswich SuperSprint. Its regular #230 has been replaced by #120 in reference to major backer Milwaukee Tools' new 12.0Ah portable battery, which is promoted on the side of the car. 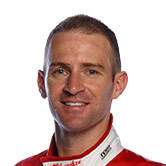 Davison sits 15th in the standings, with six top 10 finishes to his name from the first 18 starts. He qualified inside the top 10 both days in Townsville last time out, including taking fifth in Sunday's ARMOR ALL Top 10 Shootout but the weekend ended with a late crash. Milwaukee is in the first year of a three-year deal with Phil Munday's new-for-2018 23Red Racing. “It’s amazing for us as a team to have a sponsor that’s so actively promoting their brand and so we’re proud to be repping the battery on the car this weekend, including the number 120 for the round," Davison said. “For a first-year new team it's been a great start to the year. "We’ve got such a credible brand on the car which fits so well with 23Red, and collectively I think we’ve made a real impression not only on the track, but I think our presentation off the track and our presence has continued to surprise and impress the fans." 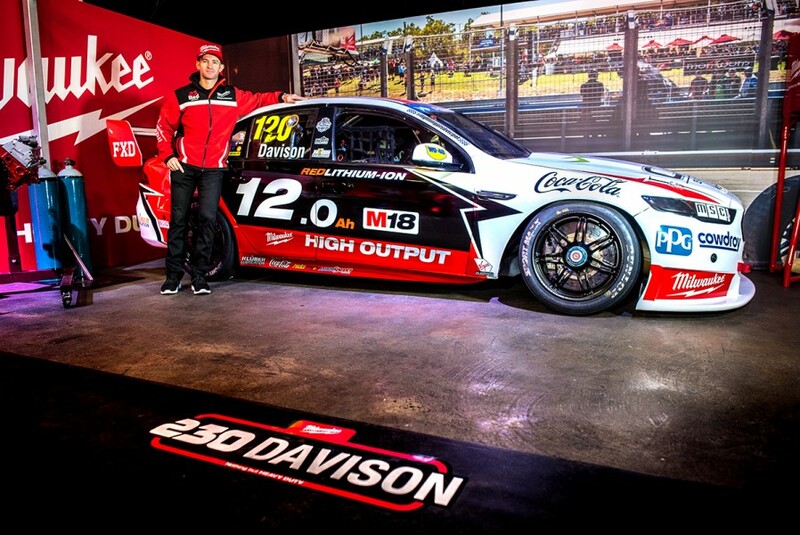 The new-look Falcon will take to the track for the first time on Friday morning, with Alex Davison behind the wheel in the co-drivers' session.